Apart from marshes and moors, the definition of “wetland” applies to rivers, lakes, tidewaters, floodplains, mudflats and beaches to a depth of 6m. 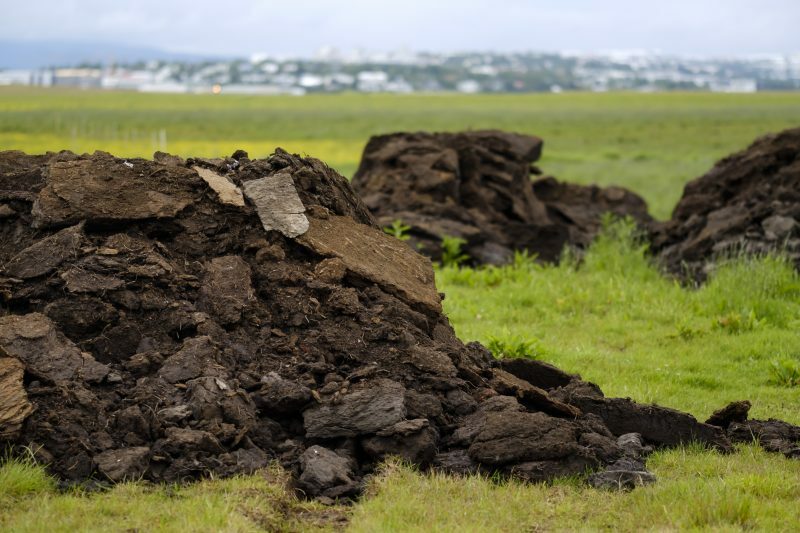 For centuries after Iceland’s settlement, the moorlands were mined for peat and bog iron, but even though they were being harvested, they got to stay the way nature intended them to… wet. Iceland is part of the arctic tundra biome, which means animals and vegetation must be adapted to low temperatures and have a short growing season. In areas that belong to the tundra (tundra meaning uplands or treeless mountain tract), vegetation is mostly composed of mosses, grasses and dwarf shrubs. The arctic tundra contains areas of stark landscape, is frozen most of the year and is usually covered in marshes and moorland, but in Iceland peatland covers about 30-40% of vegetated land. Iceland’s nature is what attracts travellers from all over the world, and a large part of the country’s GDP comes from either natural resources or tourism. Despite the environment’s importance for Iceland, much like in the rest of the world, it’s under threat. One of the biggest natural conservation projects in Iceland is not to ban the use of plastics or battle the burning of fossil fuels, it’s preserving wetlands. Even among Icelanders, the importance of wetlands is not widely understood. Aside from farmers, most people are only dimly aware that there used to be a lot of ditches. Now, they’re starting to fill these up again and the reason is mostly a mystery. Very few give wetlands any attention at all, but this should change, because their restoration might be the keystone in the fight against climate change. What are wetlands and why are they in danger? For a long time, wetlands were an underestimated part of the Icelandic ecosystem, but times are changing. People are starting to realise that wetlands are an indispensable water resource and serve a significant ecological purpose. Water is necessary for life to thrive and wetlands are home to a variety of species, ranging from plants to small animals, which depend on the conditions provided by wetlands for survival. Amongst those are birds – just over 90% of Icelandic breeding birds rely, to some extent, on wetlands. In the 1930s, someone got the idea to drain wetlands and turn them into hayfields. Moorland vegetation is not suitable for grazing, so there seemed to be opportunities in draining wetlands, both for growing crops and for keeping livestock. 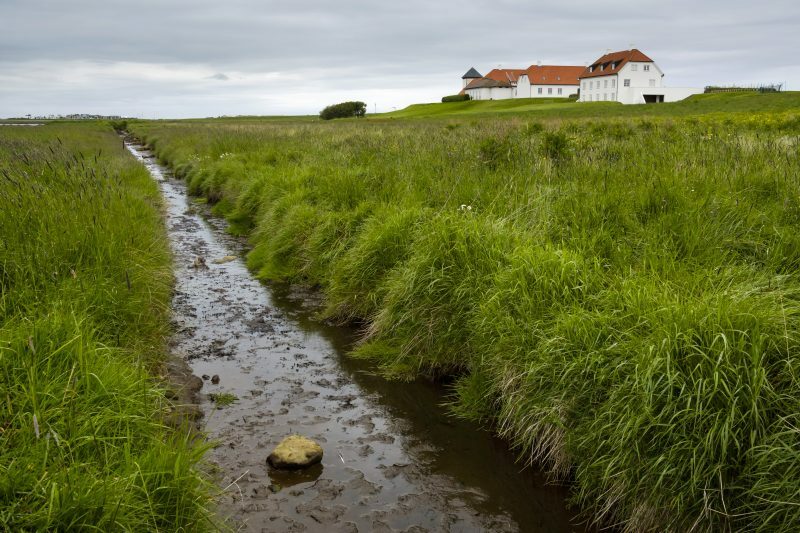 Agriculture laws from 1923 stated that the Icelandic government should support the drainage of wetlands in the form of “drainage grants,” meaning that in exchange for draining an area of land and creating a hayfield to increase crops, the government paid farmers a certain amount. This incentive worked wonders and farmers started digging ditches to drain wetlands like they were getting paid to do it, because, well, they got paid to do it. 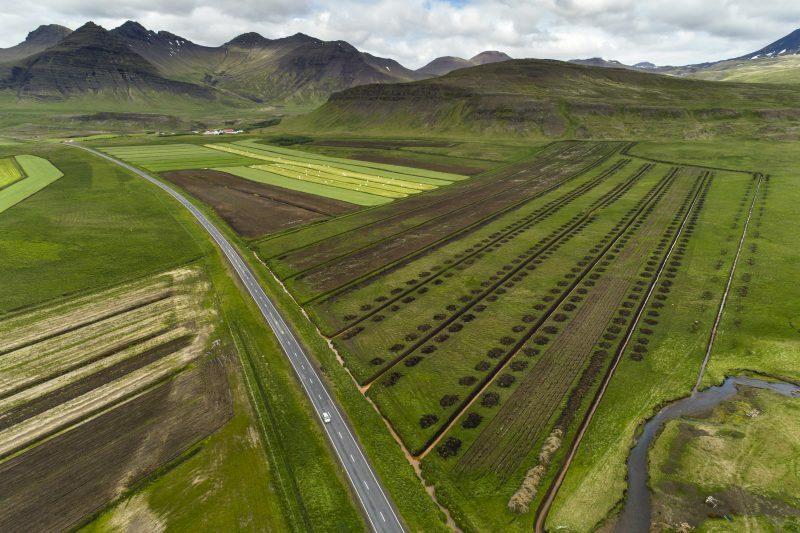 It is estimated that in the 20th century around 35 000km (22 000mi) of ditches were dug in Iceland (to put that in context, the Earth’s circumference is approximately 40 000km or 25 000mi). This means a lot of disturbed and dried-up wetlands. But what’s wrong with digging ditches if you get more arable farmland? Well, a lot. Wetlands are a habitat for a variety of plant and animal species which are all substantially affected by lowering water levels. Survival of these animal species is endangered, the vegetation changes, and it may take years to restore the wetlands once the balance is off. Aside from the importance of wetlands for wildlife and vegetation, they store carbon. By digging a ditch and drying out wetlands, carbon is subjected to oxygen. It oxidises, forming greenhouse gasses (GHGs), like methane, nitrous oxide – better known as laughing gas – and carbon dioxide. Draining wetlands releases these gasses into the atmosphere, and despite all the laughing gas, no-one is laughing. In recent years, emission numbers in general have been increasing (between the years 1990 and 2015 the increase was almost 30%) and about 70% of the annual GHG emissions in Iceland comes from wetlands alone. Dried-up wetlands will continue to deteriorate and as long as there’s any organic material in them that can degrade and rot, they will continue to release carbon dioxide into the atmosphere. According to Sunna, that could take about 250-300 years, sometimes less but sometimes even more, considering the average thickness of moors. Sunna also points out that the more time passes from the drainage of wetlands, the harder it is to restore them and regain their former activity. A great part of the Icelandic wetlands has been drained and in South Iceland, it is estimated that as little as 3% of the wetlands are undisturbed. To summarise: without restored wetlands the moorlands will continue to release GHGs into the atmosphere for hundreds of years. Species density will continue to decrease, and the drained wetlands and their disturbed ecosystem will not be able to resist the impending effects of climate change as well as they would in their natural, undisturbed state. We have a lot to gain from restoring wetlands. Without them, we might liken the ecosystem to a human being missing a lung.